These masked men have taken the opposition’s best shots and stood tall between the pipes in 2018-19. Which goalies have posted the most wins this season? Here’s a hint as to who tops the list: He has 431 career victories and 54 shutouts. Sitting in ninth all time when it comes to wins, the Vegas Golden Knights backstopper has been as good as gold again in 2018-19. The 34-year-old has a 2.48 GAA and six shutouts on the season. 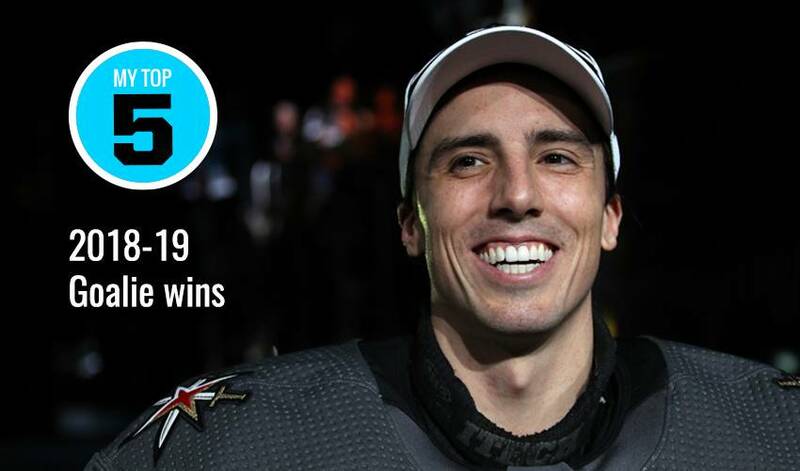 With seven more wins, Fleury will move past the great Jacques Plante and take over the No. 8 spot for most lifetime wins. He’s third in the league with 1,132 saves on the season and fashions a .910 save percentage for the Winnipeg Jets. The Michigan native was a finalist for last year’s Vezina Trophy (the league’s top goaltender), when he won a career-best 44 games and posted six shutouts. San Jose’s No. 1 goalie has served up 24 wins for the Sharks on the season, a campaign that’s seen Jones face 1,078 shots and make 966 saves for the Pacific Division club. The British Columbia native, who won the Stanley Cup with Los Angeles in 2014, struck gold with Team Canada at the 2015 World Championships. Sporting a 2.52 GAA in 2018-19, the Danish backstopper has made 1,081 saves on the season to date, including a win on Monday night against the Anaheim Ducks, his former team. Andersen has 16 career shutouts and 171 wins, accompanied by a .919 save percentage. Currently in 30th place all time in wins (307), Price has a .915 save percentage and 2.57 GAA on the season for the Montreal Canadiens. The British Columbia native also has three shutouts in 2018-19, and has won his past five starts, including a 3-0 blanking of Colorado on January 12. Despite spending time on the shelf due to injury, Tampa Bay’s No. 1 goaltender has given the ‘Bolts a big-time jolt this season, with 21 wins, four of which have been shutouts. The 24-year-old from Russia sports a 2.46 GAA and a sterling .925 save percentage mark in 2018-19.